During the frigid winter months, one of the biggest monthly bills you have have to pay is for heating your home or office, depending on where you live. What the utility companies don’t want you to know is that there are ways to maintain sufficient heat for less. By applying these methods, you can save hundreds (or sometimes even thousands) of dollars over the winter by heating your space in a more effective and efficient way. Normally, in the warm summer months ceiling fans are used to circulate cold air into the room. However, when you are combating the cold, a ceiling fan can also be used to circulate warm air. Running your ceiling fan counterclockwise will force heat that is trapped at the ceiling to flow back down and throughout the space. Make sure your fan is on a low setting. When natural light enters your home or office, make sure that you aren’t blocking it out with curtains or blinds. You might be surprised at how effectively the sun can heat your space. Close your blinds again once the sun goes down to have extra insulation for your windows. When you feel like you might need to replace your HVAC unit, many times you may just need to change the filter. Check online to find tutorials about your filter and see if you need to change it. 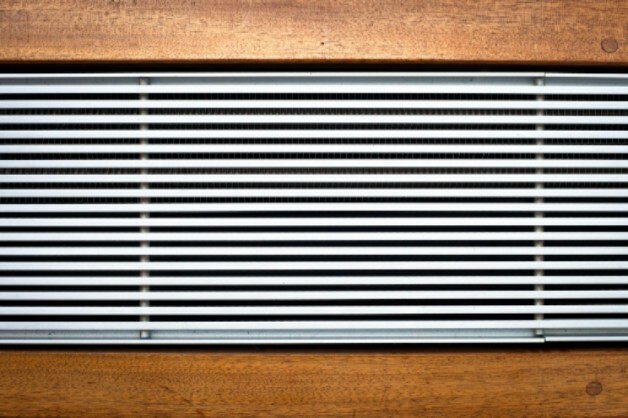 An HVAC professional can also tell you if you need a new filter. While you may have to deal with a stuffy kitchen or a bathroom that smells like air freshener, try not to use your ventilation fans, if possible, as they can make your home or office colder. This minor change can really help you save a lot on your heating bill. Having couches, dressers, desks, and television stands in front of or on top of your A/C vents may be making your rooms cold and uninviting. Be sure that all of your furniture is out of the way so that hot air can flow freely. Sometimes your HVAC needs a professional tune-up. This will help it run much more efficiently. When your HVAC is running more efficiently, you will be able to heat up a space more quickly and with less energy. There are professionals who will be able to help you with this tune-up for a small fee. In many places, room vents can be closed for a reason. If you’re trying to heat up every room in your house or building, you are going to have to use much more energy to get your home to the desired temperature. However, if you’re looking to only heat up a few rooms, you can simply close the vents in the rooms you aren’t using. This means that you will use much less energy to heat up spaces that you use regularly. You might be surprised to learn how much warm blankets and clothes can really help you when you’re trying to make it through the frosty winter months. Investing in some heavy-duty blankets and warm clothing, or encouraging employees to wear sweaters to work, can help you save a great deal of money on your heating bill. That way, you don’t have to heat up your home or office to as high of a temperature. These are just a few ideas on heating your home or office for less during the winter season. With these tips, you can have more money to spend on the things that really matter. Contact a professional HVAC repairman today to find out how to make the necessary changes to your heating system today that will help you save money tomorrow.